For years, Mankind never believed in mythical things. Some said that it was a hoax. Some even said that it was fake. Now, in the year 2028, Humans are at peace with the Mythical Creatures. They learn what Humans do. Making their own jobs, living a normal life, and even controlling their powers to not scare Humans. Long time ago, the Treaty of Terra was signed by the President of the United States and an Emperor spirit of Eigengrau. It keeps the Mythics and Mankind at peace. In the city of Detroit, a small group of people named the Mythic Squad looks out for Mankind and the Mythics, keeping the peace to both parties. Whenever troubles stirs, they'll be there to solve the case. Even the mayor knows them well. One night, at 10:20 pm, something went horribly wrong. A call came to the squad, telling them that a Werewolf went out of control and attacked a young woman. But when the Mythic Squad came and shot it down, the woman cried out that he was her boyfriend and was trying to save her from an attack from an mysterious being. This devastated the squad, and they were sent to the Detroit City Council. Before they could give their badges to the Council, they pleaded to investigate on who misled them to kill the Werewolf and why. The Council agreed, but on one condition: they would send a man named Johnny Wills with them. He is an old major, and keeps the Mythic Squad on track. If they complete their mission, they'll keep their job and continue on to protect innocent lives. If not, then the Council must stop their organization and there won't be anymore Mythic Squad. You are the Mythic Squad. Find out who misled you to kill an innocent Mythical creature and why. Some mythical creatures are against you now and may come your way, but don't let that stop you from getting to the suspect that started this chaos. You may also be a Mythical creature on the Mythic Squad, not just a Human. So... who wants to find this suspect? - You can make up any characters. But you must ONLY play up to 2-3 characters. They can be good, bad, or neutral. - No God-modding. Meaning no player is more powerful than other players, you can't have a superweapon, etc. - Don't kill another player's character unless given permission by that other player or the Gamemaster (me). - Less swearing. Let's keep this PG-13. - You may insult the player's character. Just not the players themselves. - Be kind in OOC ((Out of Character)). - Most importantly... Have Fun!! *Note* The creatures I will approve will be available. Don't worry. We'll have it by tomorrow. Will post this tonight. Gonna grab a quick nap first. Weapon: Pistol, Taser but does own some unusual weapons as well. ( will be revealed. Bio: Was on the squad when they were given the wrong information. She is more determined to find the one who led them down the wrong path that night and find out who was responsible because it has been eating away at her ever since...so much so her relationship has been torn because of it. She also has a son age 3. Personality: Kinda tends to be a smartass on occasion, though overall, he is unpredictably bipolar. Bio: Ghost is kinda on the quiet side ever since the incident. Or he was, anyway, until he received intel that they were to look into it. Now he's back to normal, and on the case, ready to find out who set them out, and clear his name. Bio: Youngest recruit ever to be accepted onto the Mythic Squad, was out of highschool by the age of 15. decided never to go to college and to teach himself theoretical physics, is quite lazy, most people agree it is fun to be around him, when hes not rambling on about his recent project. 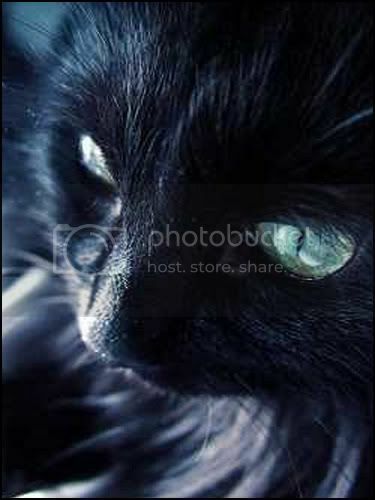 Appearance: Cat form: http://i206.photobucket.com/albums/...y/black_cat.jpg Preferred Human form: Long black hair, pale skin, leather jacket that nearly reaches the ground. Also he can take the appearance of anybody he has killed. Personality: Distanced, coldblooded and isn't very good in social skills. Bio: Disguised as a waiter in the (insert name once more), Shadow takes stealing/assassination jobs from the customers of the pub. However he only takes jobs that fit his wry sense of morality. Your choice which are allowed young. Personality: Sweet. Enticing, But can get aggresive and jeolous if she is lacking in male attention and is shown to other females instead. Umm question: Where is she located? Her current location she is just wandering around in the city somewhere, Getting into mischief exploring trying on clothers, Perfume but don't understand that you have to pay for things that sort of thing. Personality:Violent and hard to restrain once the bloodlust sets in but when not in bloodlust he is silent and uncomfortable around humans. And love your characters, TxG and Samurai100. Now... my character. I need someone as Johnny Wills though. Thanks. Vehicle: Mostly flies with her wings. Bio: Alison Miles, she believes, was born to a Human male and a bat woman. At the age of 12, she was lonely and scared, afraid of being among Humans. But one Human lady took her in as her own child. And ever since that day, Alison is more confident with herself. At the age of 17, she joined the Mythic Squad. She wanted to help both the Mythical creatures and Mankind. But now, she is desperate to know who set them up to kill an innocent Mythical creature. You should do that young since you know his personality best. Bio: Johnny Wills was born in Seattle, Washington. His father and big brother were Army men for the U.S. Army. He too wanted to follow in their footsteps and join the Army. For years, Johnny has be skilled in combat and even hand-to-hand combat. In the year 2018, he became a Major of the Army. But after eight years, he retired. Now, he has been called by the Detroit City Council, telling him that he would lead a group called The Mythic Squad to keep them on track on their journey to find out who misled them to kill an innocent Mythical creature. And with that, Johnny accepted. Occupation: Thief/Assassin Waiter in "The Last Resort"
A pub that is only open at night for middle-class criminals that have quite alot of money already. But rebellious millionaires children are also seen here. It is known for strict rules punishable by death. 1st Floor: Area for drugs and the like. Ground Floor: The actual Pub. M'kay, m'kay. This looks good, Bladewind. EDIT:: If possible, would also like to add a sawed-off double barrel shotgun.